By now, the whole world knows John F. Kennedy, Jr.’s plane is missing. As of right now, they’ve found some baggage with ID tags from one of the passengers and some other wreckage which has been identified as coming from a GA (general aviation) aircraft. Not a good sign. Sad as it seems, the three on board are probably long gone, though none of the officials can say that yet of course. So what happened? It could be any one of a million different things. Bird strike. Engine failure. Mid-air collision. Mechanical problem with the control system. If I had to guess, I’d bet that he simply lost sight of the horizon in the thick haze and couldn’t maintain level flight. I got the news this morning from Kristina, who called as I was getting ready to head to the airport. I watched the news coverage for a while before inaccuracies in the reporting started to bug me. Why must general aviation be given such a bad name just because a celebrity has an unfortunate accident? 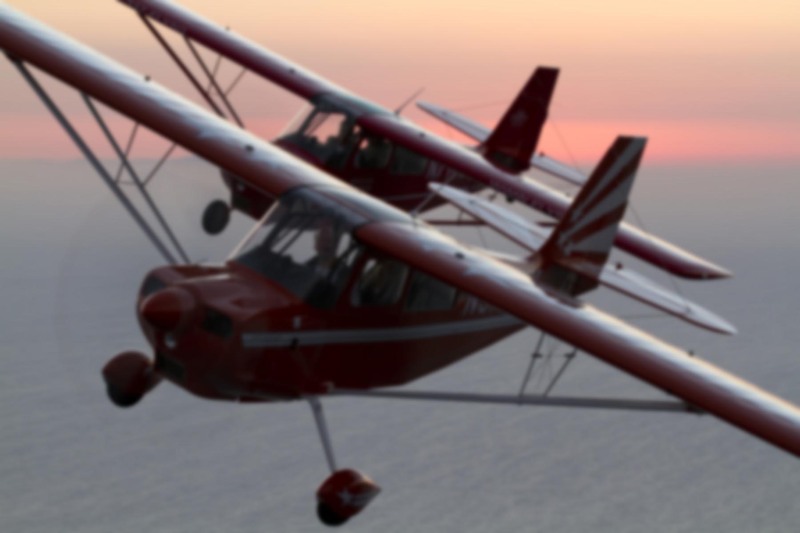 I could sense the subtle yet ever-present lean toward branding aviation as “daredevil” and those who pursue it as extremists, mavericks who throw caution into the wind without much regard for their own lives or those around them. It does make for bigger headlines, doesn’t it? So what if it’s not the truth? 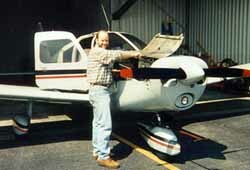 The Saratoga that JFK, Jr. was flying is almost identical to my Cherokee. In fact, just about everything Piper Aircraft has made in the past 35 years has been based on the original Cherokee design. And speaking of the Cherokee, my aircraft’s annual inspection is finally over. It took most of the day to get everything put back together, but around 4:00 p.m. Norm and I fired her up after a careful preflight. The engine runup showed no problems, but we shut down anyway to inspect the inside of the engine compartment. All was well, so we proceeded with a high speed taxi test, and then opened the cowling again to check for any obvious problems before taking to the air. After three or four times around the pattern, Norm had to head out, but I decided to fly over to John Wayne and give the engine a workout to circulate the oil. I put about another hour on the Hobbs meter before getting my clearance to return to Corona. The departure seemed normal, but a few minutes out I noticed some water streaked across the bottom of the windshield. That was odd. Where the hell would water have been coming from?? Then I remembered that since the oil had just been changed, it would probably be clear. Just like water. Unbuckling the seatbelt allowed me to stretch far enough to see that oil was bubbling up between the hinges on the cowl. I started to watch the engine gauges very closely while asking ATC for a higher altitude. No sense getting caught with your pants down if the engine were to quit, right? The landing at Corona was uneventful, but the plane sure was a mess. After spending all that time polishing the paint, it was disheartening to see oil streaked halfway back to the tail. And don’t even get me started on what the inside of the engine compartment looked like. So after a six week long annual inspection, the plane’s status: grounded. Disappointing, to be sure. But considering the kind of day a certain Martha’s Vineyard-bound pilot just had, I think I can live with it.